alaTest has collected and analyzed 14 reviews of Sony Bravia KD-65XD7504 Series. The average rating for this product is 4.8/5, compared to an average rating of 4.3/5 for other products in the same category for all reviews. We analyzed user and expert ratings, product age and more factors. 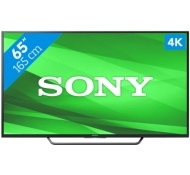 Compared to other products in the same category the Sony Bravia KD-65XD7504 Series is awarded an overall alaScore™ of 89/100 = Very good quality. "Upgrade from my previous SONY 60" tv excellent picture. quality sound......."
"This tv is absolutely fantastic it does everything you need plus tons more amazing picture quality Android works as should Screen mirror This is one amazing tv for the price you won't get better "